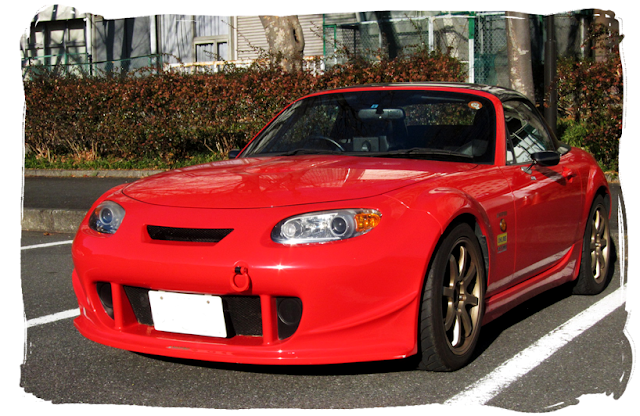 Massa's True Red Roadster is the first to be featured on this page with an aftermarket hardtop. It's a lightweight carbon fibre design from Nogami Project. The roof is bolted to the car inside using brackets in each corner. The front brackets use the sunvisor mounts on each side instead of a single centre attachment like the Mazda hardtop. There is a heated window fitted so you could still clear the rear view on a frosty morning. The car's exterior has been further modified with the front bumper swapped for a Nopro GT with centre air intake. The numberplate has been mounted lower in the grille and a racing towhook adds a finishing touch to the front end. 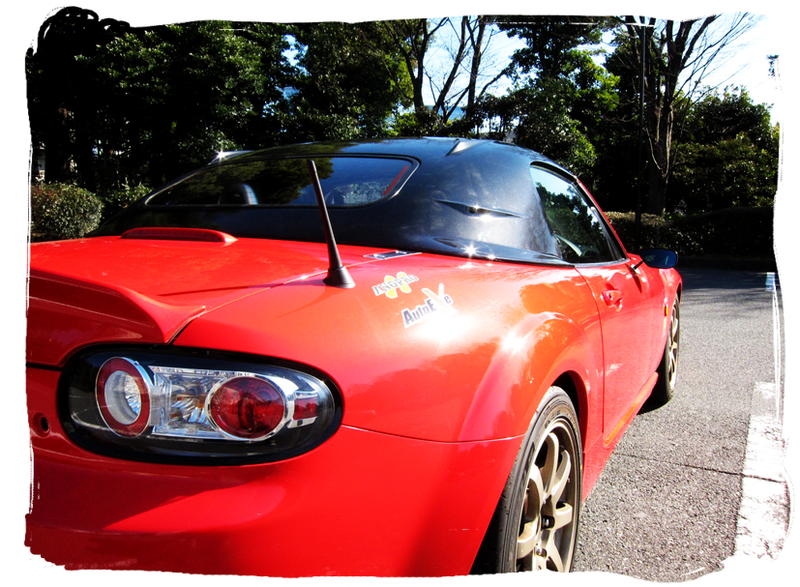 At the rear there is a Nopro ducktail spoiler and an S2000 radio antenna. 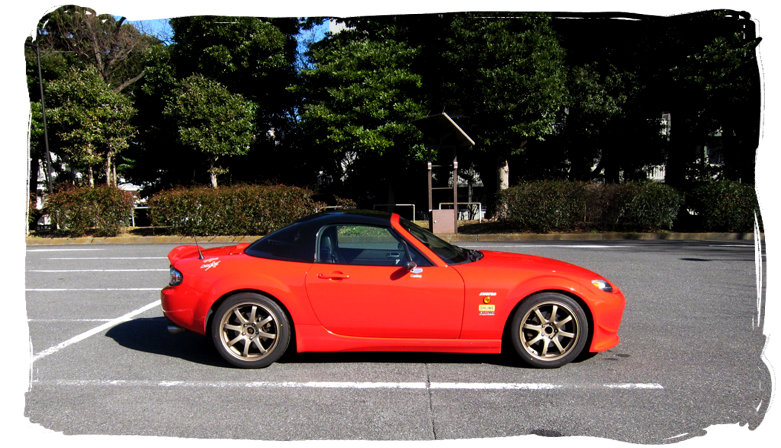 This car's wheels are 17" Bridgestone Downhill SP with a subtle gold finish that works well with the red bodywork. Handling is improved by Ohlins adjustable suspension. The standard door mirrors have been removed and replaced with smaller carbon fibre parts from Magical Racing using custom mounts from Nopro. Inside the car, the original soft top roof and frame has been completely removed. 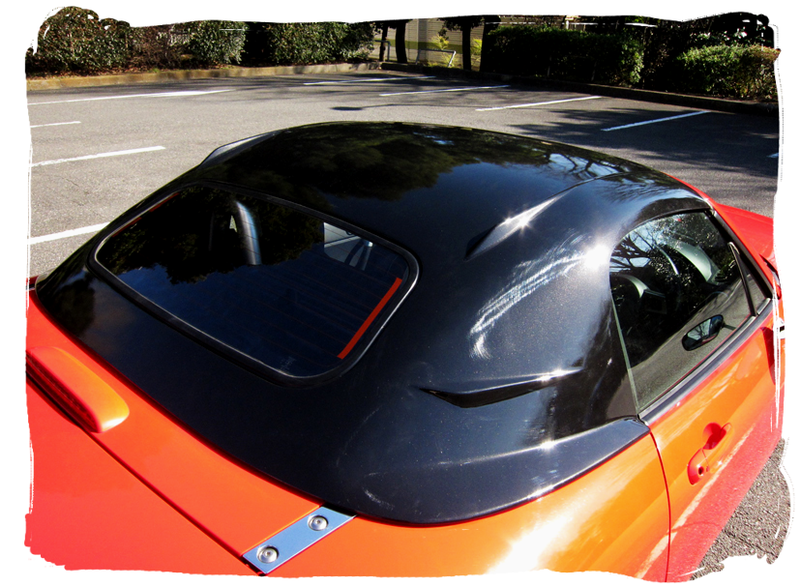 This saves several kg of weight, and even though the carbon hardtop is bolted to the car, it can still be removed on a sunny day. The driver is secured with a blue Willans harness attached to a harness bar behind the seats.